A holy day has dawned upon us…for today a great light has come upon the earth. Alleluia and Merry Christmas! During Advent, we wait in darkness for the light of Christmas Day. We circle around the Advent wreath, igniting another candle each week. The Advent wreath symbolizes the coming of the birth of Jesus, the light of Christmas drawing near and the anticipation of the Christ-light breaking into our life and world. With each passing week, the candle represents our hope that light will dispel the darkness. So it is with us. We circle around the same issues, questions and problems in our lives, struggling with the dark and light within us and around us. And we pray that God breaks in, that the light will prevail. Light and Darkness: our life is filled with both. WE are filled with both. The expectant and hopeful waiting in Advent, when Jesus is in the womb, where possibility of new birth is upon us, in the waiting and tender honing of our patience, is where we must begin. We begin in the womb. So what is it that needs to be birthed within us? In our world? How do we accept and forgive the darkness in our selves and others while nurturing and encouraging the positive? What can we bring out of darkness and into the light? What gives us the strength to wait in patience, to trust that our circling around will bring us into the light? 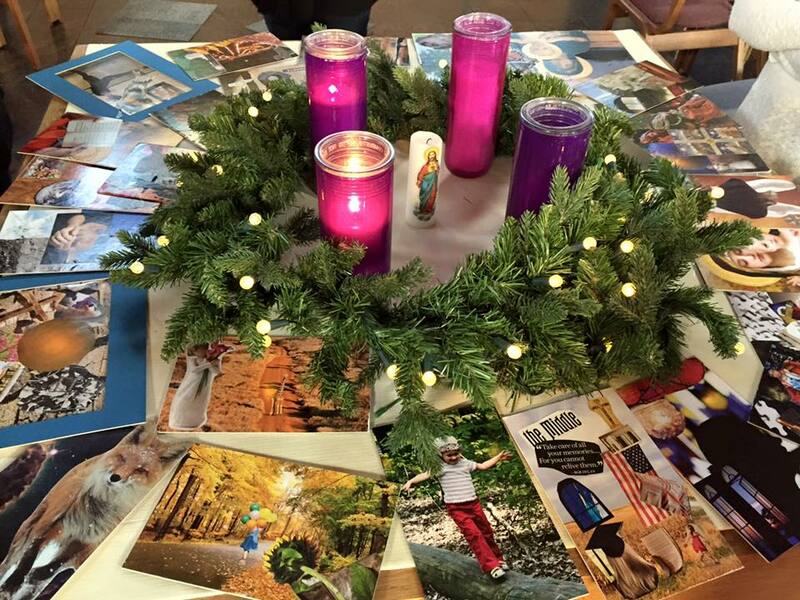 These questions and the paradox of light and dark were explored at a recent Advent retreat. Using images and creativity, I am amazed, once again, at the insight gained through SoulCollage. For me, it is after the images are placed together that I see what they are saying to me. I am one who walks through rough and rocky terrain. I am one who dances gracefully in the light. I am one who casts shadows. I am one who gets stuck. I am one who circles around and around, sometimes feeling a little lost. I trudge reluctantly… or tread carefully… or move forward faithfully. I am one who, with open arms, embraces both dark and light: in myself, in others, in my world. I see the light and the darkness, the gold and the shadows, the smooth and the rough. I go through all…the white sand, the gold dust, the smooth and rocky, the hard and broken, the shadowy or the illuminated, the gray, the light, the dark. I am one who is filled with hope. I pray. I am one who feels hopeless too. Eyes open, door ajar, I glimpse the light. I am one who closes my eyes, sometimes trusting and at times in denial. I dance the dance of light and darkness. Darkness that seems like it will never pass and pure, unadulterated light that never ends. I am one who believes that the Christ-child covers both light and dark, in me and in the world. I hope, I pray that I hold the two in balance; honoring both, recognizing both, knowing I am both, knowing others are both. I surrender to rebirth, to a new way of being and seeing and accepting. I am one who holds together the dark and the light. I wish you the light of Christmas and the darkness of Advent and the holding of both together! 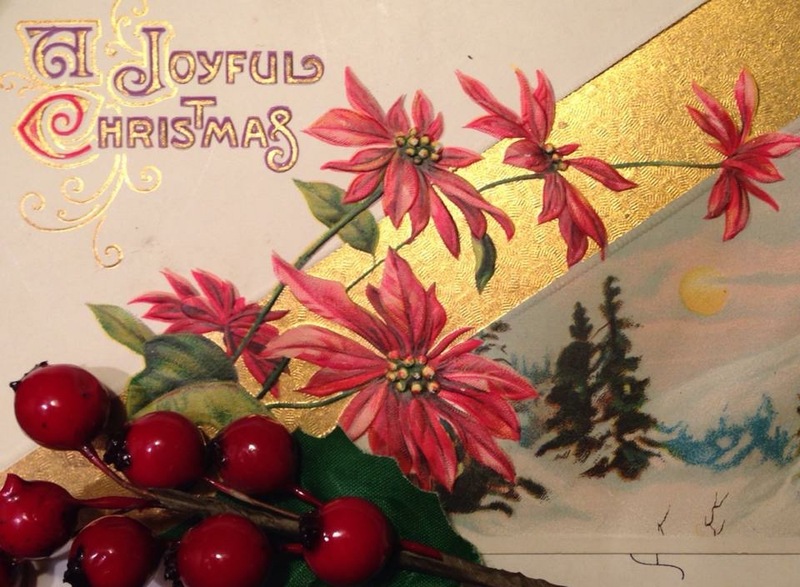 Joyous and Merry Christmas! We are Moons not Suns—Living in the Fullness of God and Full Moon Retreats. Every Little Thing—Surrendering to Darkness; book by Deidra Riggs. Living in the Fullness of God—Contemplative Prayer and the Power of Images. Previous Post Where Were You When The World Stopped Turning?